While asphalt remains one of the most durable and cost effective surfaces, there is nothing you can do to prevent your asphalt parking lot, road or walkway from wearing over time — resulting in cracks, holes or settling. The asphalt patchwork and repair experts at A-1 Asphalt Inc can fix any asphalt surface and return it to its original form and function. 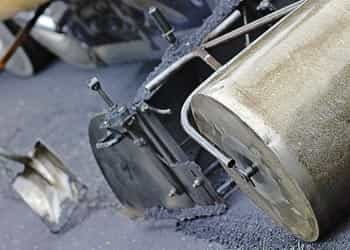 Our experienced professionals take pride in their ability to handle a wide range of asphalt patchwork and repair projects, including roads, parking lots, drains and curbs. Whether you need asphalt repair work on your small business parking lot or a large industrial complex, our knowledgeable craftsman can handle every detail of your asphalt repair project from start to finish, and they will complete your job on time and on budget!